So I solved Wakanda 1 and I want to share with you my walkthrough. Let’s start! It’s a Linux machine, the level to beat it is intermediate. There are 3 flags to retrieve, flag1.txt, flag2.txt and root.txt. No more info is given, just that the machine assigns it’s IP via DHCP. So, let’s follow the path. This simply requests all IP addresses for the network which is assigned to the interface eth1. We see that the box has the IP 10.20.20.128, as the other IP’s are system IP’s inside of the internal VMWare Workstation network. Out of curiosity, let’s focus on the HTTP port. No links are working. A bit dirbusting didn’t show interesting files or directories. But when looking at the HTML source code I found that: <!-- <a class="nav-link active" href="?lang=fr">Fr/a> -->. An anchor link with wrong ending tag, showing us an interesting detail: it looks like a variable is beeing used to show language dependent content. With dirbusting I found the file fr.php, so what I’m thinking is that if just includes a file and appends .php to it. The GET variable flag could be vulnerable to LFI, here you find a nice tutorial about it. So we might found our first rabbit hole to jump in. Take a breath and then process further! 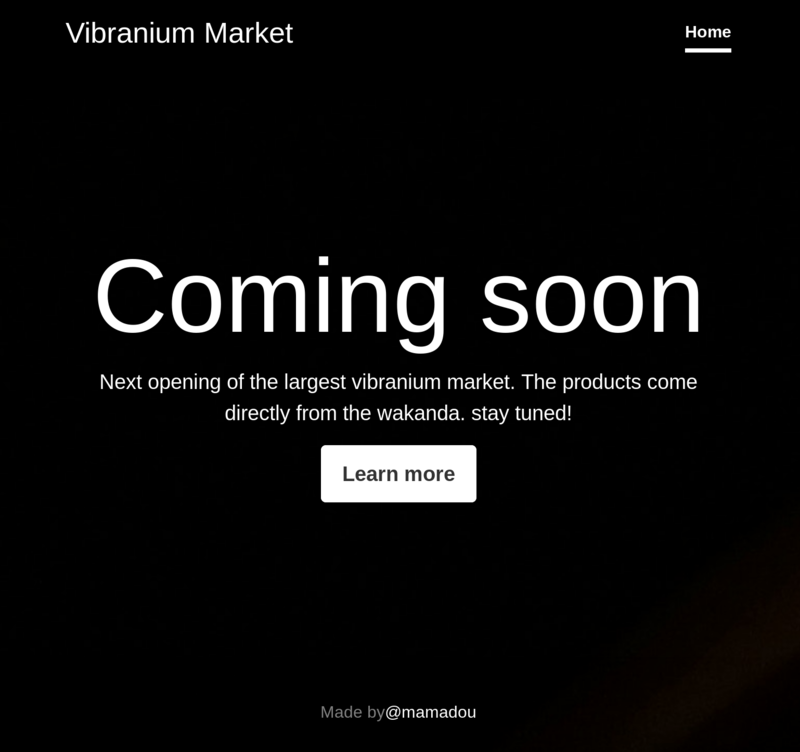 Next opening of the largest vibranium market. The products come directly from the wakanda. stay tuned! There is a password given. If you look also at the footer of the site we also mention a name: mamadou. Looking back to the NMAP scan we see also an open SSH port there. Let’s try these credentials: mamadou:Niamey4Ever227!!!. drwxr-xr-x 2 mamadou mamadou 4096 Aug  5 02:24 .
drwxr-xr-x 4 root    root    4096 Aug  1 15:23 .. Sorry, user mamadou may not run sudo on Wakanda1. We obtained our first flag, also we see that there is another user: devops. User mamadou is not allowed to run any sudo commands *sigh*. First command shows which files are owned by user devops. The second one shows which are owned by the user and which are writeable by the current user. 2>/dev/null suppresses any error, like “Permission denied”. drwxr-xr-x 2 devops developer 4096 Aug  5 02:25 .
drwxr-xr-x 4 root   root      4096 Aug  1 15:23 ..
Yay, it worked! We have our 2nd flag. Move on! 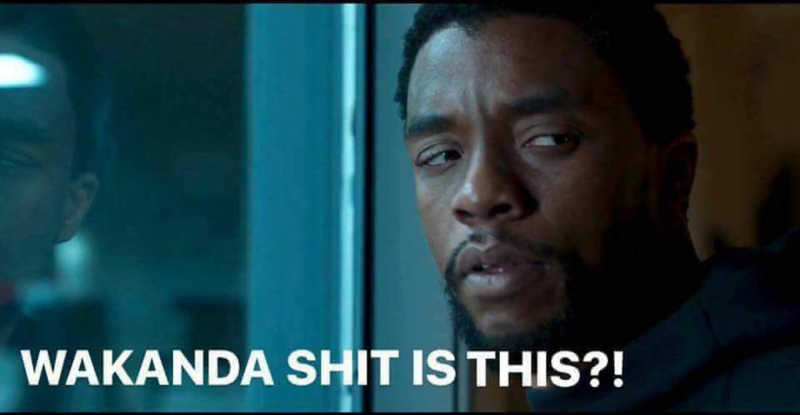 We see that devops is allowed to run /usr/bin/pip with no password, that would be the only command we could run as we don’t know the password of the user. And this took me a long time to find any useful information about it. Googling “pip privilege escalation” brought me to nothing. Finally “sudo pip exploit” brought me the Github repo FakePip. There we see that a “malicious” (let’s call it that way) setup.py is being processed by pip. This will run also commands inside of setup.py. Just change the IP in the file. drwx------  2 root root 4096 Aug  5 02:26 .
drwxr-xr-x 22 root root 4096 Aug  1 13:05 ..
We have the last flag! This worked because pip has been run with sudo privileges. Then the code in setup.py has been processed, there was a reverse shell included. Connecting back to our local VM with running /bin/sh. This created a shell environment for us. The machine was a nice and short trip. Gaining access as user was not that hard, but finding the way to exploit pip was fun. I knew that pip runs setup routines, but not how to abuse them. Nice work @xMagass! Looking forward to your next boxes!